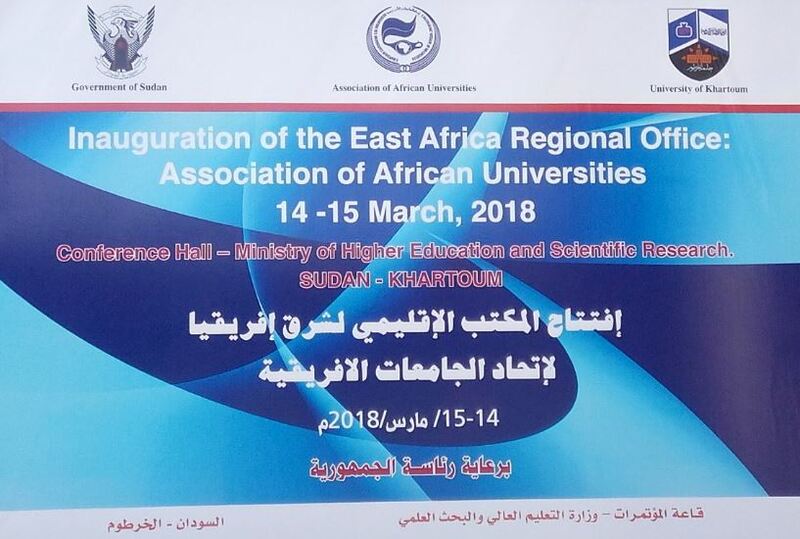 The East Africa Regional Office for the Association of African Universities (AAU) was launched in Khartoum Sudan on the 14th March 2018. Other AAU regional offices will be launched in North Africa, Central Africa and Southern Africa. The main goal of the AAU East Africa Regional Office is to increase the impact of AAU activities in East Africa and maximize the benefits of AAU to the membership universities in East Africa.